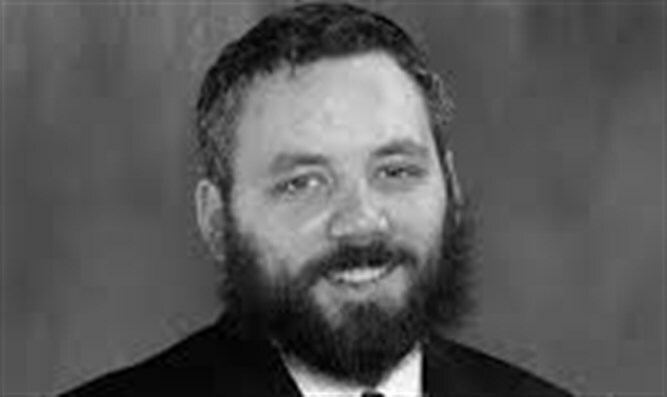 What is the value in urging a Jew to come to shul if he or she really doesn’t want to be there? 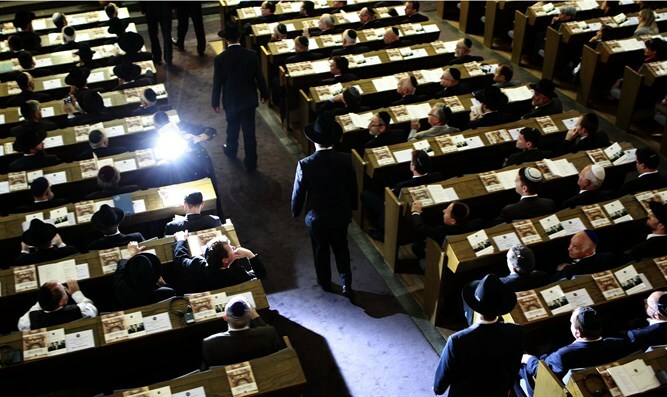 When you live in a small Jewish community, you often need to recruit people to attend services at the synagogue just to ensure that you have a Minyan (quorum of ten men for prayer). Many grow frustrated with the process and wonder what value there is in attending only because one is needed for a minyan. Others wonder about the value in maintaining a synagogue when people don’t want to attend and attend only out of obligation. Is there any value to such attendance? The nice thing about Judaism is that we don’t need to reinvent the wheel. The problems we deal with today, were solved in the past. The questions we ask today, were answered in previous generations. This question is no different. It has already been answered. The Torah tells us that when a Jew brought an offering to G-d, “he should bring it to the entrance of the tent of meeting.” Then the Torah adds the word, “willingly”. Our sages taught that the words, “he should bring it,” imply that if he doesn’t want to bring it, he should be compelled to bring it. Yet, the word, “willingly,” tells us that he should not do it by force, only in good will. So, which is it? There is no value in dishonesty. If we are not willing, there is no reason for us to say that we are. However, we don’t believe for a moment that there is a Jew who truly does not want to discharge his or her obligations to G-d. We believe that the Jew who screams that He does not want to obey G-d is being compelled to say so. Compelled by his own Yetzer Hara, evil inclination, to turn a blind eye to his true desires and to feel an attraction to the forbidden. Although such people feel as if they don’t want to obey G-d, deep inside their soul wants to serve G-d. When we are compelled to express the true desire of our soul, we are not lying. Our words are not compatible with the thoughts in our minds and hearts, but they are in perfect alignment with our intrinsic wishes. In fact, articulating this intrinsic albeit dormant wish can reawaken the wish. There is still one more question to contemplate: Why does the Torah tell us that he should “bring it to the entrance of the tent of meeting.” Why only until the entrance, why can’t he bring it inside? In a brilliant insight, Rabbi Moshe Sofer, one of the leading rabbis of European Jewry in the first half of the nineteenth century, explained that a Jew’s surface unwillingness melts away the moment he or she enters through the door. Rabbi Sofer explained that a village Jew in the days of the Temple, might not be have been inclined to leave his homestead, travel to Jerusalem, make the trek up the Temple mount, purchase a sheep, and deliver his offering. His duties and obligations at home, where his family relied upon him, made it difficult to leave. The cows needed milking, the crops needed tending, the sheep needed shearing, the fruit needed harvesting. Life was busy and there was no time for ecclesiastic worship. If such a villager were obligated to bring an offering to G-d, he might need to be compelled by his spouse, parents, teacher or community to leave his comfort zone and travel to Jerusalem. However, once he reached the holy city, his perspective would begin to shift. He would see the streets crowded with devout Jews. Kohanim (priests) whose only pursuit was to serve G-d and teach his Torah could be seen striding with purpose and sacred dignity. Wherever he looked there would be a child studying with his father or a family engaged in prayer or a person engaged in a good deed. He would then visit the study halls and find venerated rabbis with silver beards toiling to understand the word of G-d. He would see the throngs of students devoting their lives to Torah study and this would have an impact. He would then climb the Temple mount and encounter an energy of quiet intensity. He would enter the sacred courtyard and feel its holy vibrancy. He would sense the added measure of Divine presence in the Holy House. He would purchase his lamb and approach the entrance to the Temple, where the kohanim were busily preparing and offering sacrifices to G-d. He would hear the Levitic choir strike up a rousing chorus. His heart would be stirred, and he would be inspired. As he would step through the entrance, a change would overcome him–he would experience a fundamental shift. He would suddenly be gripped by an intense desire to join the inspiring and holy service. He was no longer here by force. He was now a willing participant. The Torah tells us that he should be compelled to say that he wants to go to the Temple, but once he stepped through the Temple’s doors, he would no longer need to be compelled. The insincere would become sincere. It would suddenly be exactly what he wants. He only required compelling until the entrance to the Temple. Once he was past through the entrance, he needed no further urging. We now return to our original question: what is the value in recruiting a Jew to attend services when he or she really doesn’t want to be there, and comes only to ensure that there will be a minyan? Firstly, we must remember that at every Jew’s essence wants to attend. But even if we consider their desires on the level of conscious thought, there is a difference between the person that you need to recruit to Shull and the person that actually arrives. It may be the same person on the outside, but a fundamental shift occurs on the inside the moment they walk through the door. No matter how reluctant they are when they are called, they walk through the door and are influenced by the environment. Whether it is the place, the people, or the prayer, something touches them, and they are glad that they came. They might not want to do it again tomorrow, but today they connected with their essence and enjoyed it. The value of a good deed is not in how often it is repeated but in the depth of the experience. Jews are at home at Shull; even if we were only there once, we were home for at least a moment. Think about G-d’s thrill to see His child come home. Think about our thrill when we feel ourselves stepping over the threshold to our father’s home. This is sincere. This is genuine. This is what makes it worthwhile. This is quite independent of whether this Jew will come again. But if he/she does choose to come again, the benefits increase manifold because the more time we spend at home, the more at home we feel. And the more at home we feel, the more we tend to invite our family and friends.